I love stirfrys. They are quick, easy and taste great. I have been adding ginger to my stirfrys as they serve to have many benefits. Ginger has been used for its healing properties since the 1800’s and is commonly used in Asian cooking. Ginger helps aid digestion and helps the immune system fight off any nasties, so its great to use coming up to the cooler months. Not everyone likes the taste of ginger so feel free to leave this ingredient out whilst cooking and add an alternative like garlic. Dice chicken breast into strips and prepare and soften veggies. Heat a wok or fry pan with a dash of oil. Add soy, lemon and ginger to chicken in a separate bowl and coat pieces. Add chicken to the fry pan and toss until cooked through. 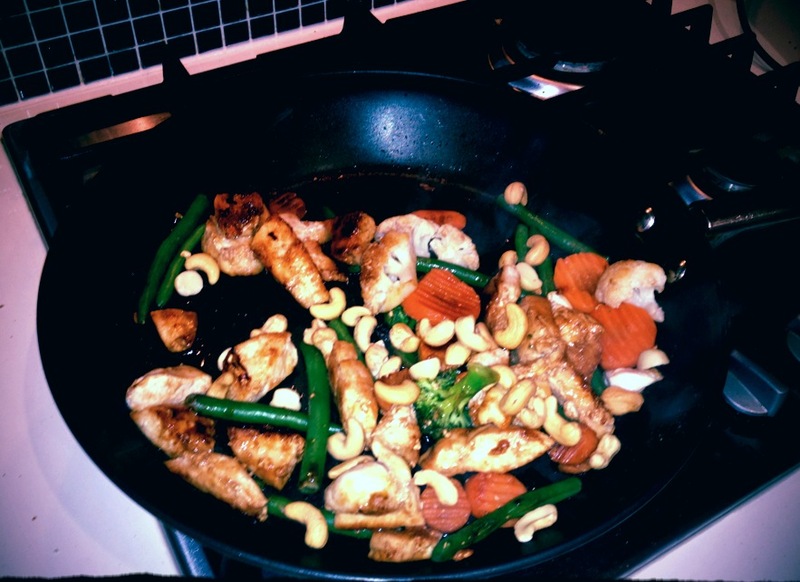 Add vegetables and cashew nuts to the pan until coated in sauce. Add extra lemon juice for taste and enjoy!